With internet population continuously rising, businesses have started focusing on tapping the online user base as well since most of the people of this generation hang out on online on various websites. And, it is the rule of the business; promote where there are plenty of audiences available. And, internet is the best place for it. In the last decade or the last 3-4 years, businesses have focused highly on online marketing. Out of these businesses that tried their hands at online marketing; 75% of them found that it is effective. 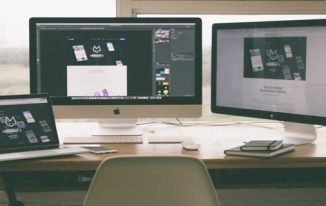 When we talk about building a solid online presence for the business, having a website is a necessity as you can show landing or sale pages to the users to convince them to buy your products or services. Whenever there is the talk of having a website on the internet, web hosting needs to be discussed because without a hosting server you cannot run a website on the internet. You need to choose the best hosting plan for your website so that it works perfectly. Host1Plus tops the list of most affordable VPS hosting provider and that is why we have been writing about their services regularly. You can read about Host1Plus Cloud Servers and Host1Plus VPS hosting on this blog as well. Host1Plus has customized services for different countries, and recently it reaches to Brazil and in fact the whole South America. So, if you are based in Brazil and have a business for which you want to build a website, you must choose their Brazil VPS plan. 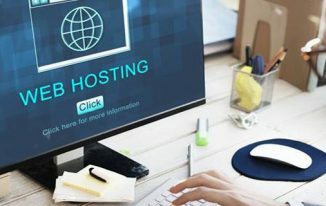 In this article, I’ll explain what VPS is, why it is important and why your business should choose Host1plus for growing your website in South America. Since you are already searching for VPS, there is a good chance that you know what shared and VPS hosting plans are. Don’t you? VPS Hosting is a hosting type in which you get a chunk of a Dedicated Server which is availed for one website. That means every chunk of the big dedicated server works as VPS server which hosts one website each. 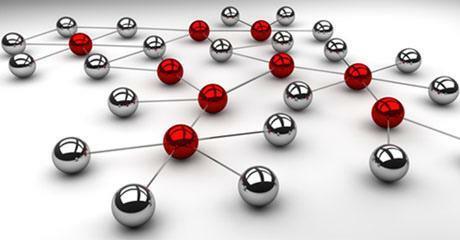 Thus, there is no resource sharing among multiple sites. 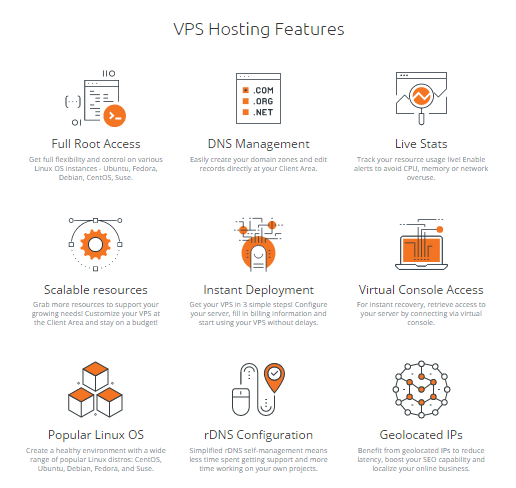 Each VPS has its own resources and settings that are available only for the website hosted on it. You get the root level access of the hosting so that you can install operating systems and other software or scripts on your own which you cannot do when you use Shared Hosting as it comes with pre-installed OS and other apps, tools, and software. VPS is highly recommended for heavy traffic websites because it can handle huge amount of traffic since the resources are not shared. Shared Hosting is renting a shared apartment. 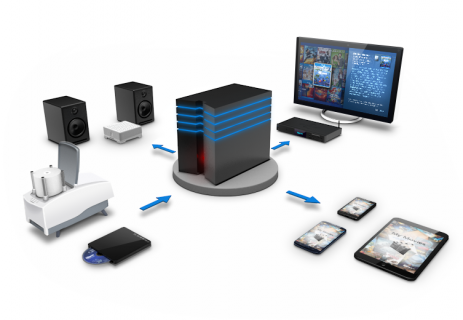 In this, you have to share a part of an actual physical server with many websites. The downside being, if any of that website is big, it is going to eat a lot of resource from your side too. VPS stands for Virtual Private Server. Compared to Shared Hosting, VPS Hosting is like living alone in a rented apartment. In VPS, you have access to a part of the physical server and don’t need to share resources with anyone else. Why should you prefer VPS over shared hosting? There are many reasons why you should choose a VPS for your business instead of shared hosting. In shared hosting, you don’t have core controls of your account. However, in VPS, you have full control of your server. When you have a shared hosting, you get everything pre-made for you. All you have to do is to install a CMS and get started. But, for times when you need full control to terminal and OS of your server, you’d need to have a VPS plan. As I mentioned above, shared hosting is like sharing the apartment with a bunch of people. You might not get enough to eat. Same happens in shared hosting, sometimes, you don’t get access to enough resources due to big websites running on the same server. But in VPS, this isn’t the case. You have access to full resources of your servers. Even if you decide to host 2-3 websites of your own, you’d still get more resources than what you’d get on a shared hosting account. It’s due to two reasons – your site performs well, and it would be preferred by the search engine as it has a dedicated IP address. Since VPS hosting ensures your website loads quickly, it does help your site well optimized for Google as well because it started considering the loading speed as one of the ranking factors. Host1plus is one of the leading players in the hosting arena, especially in the VPS genre. Below mentioned are some of its salient features. A variety of Linux operating systems – There are different sorts of operating systems in Linux, and people have different tastes as well. Some prefer Ubuntu, while some love fedora. Whatever it might be, you can use several operating systems on your server. Top notch local support – There are tons of guides on the internet. However, there are times when you need help in configuration or installation. At that time, you’d have a powerful support team with you. Host1Plus provides support in both English and Portuguese to make sure that your issue is resolved. From my personal experience, I always prefer to have a solid support team behind my projects because more than often, I get into issues. There may be times when you lose complete database or have deleted the wrong table accidently that may lead the site to crash. Such situations may arise at any time but thanks to the great local support which makes your communication easier and get things resolved quickly. 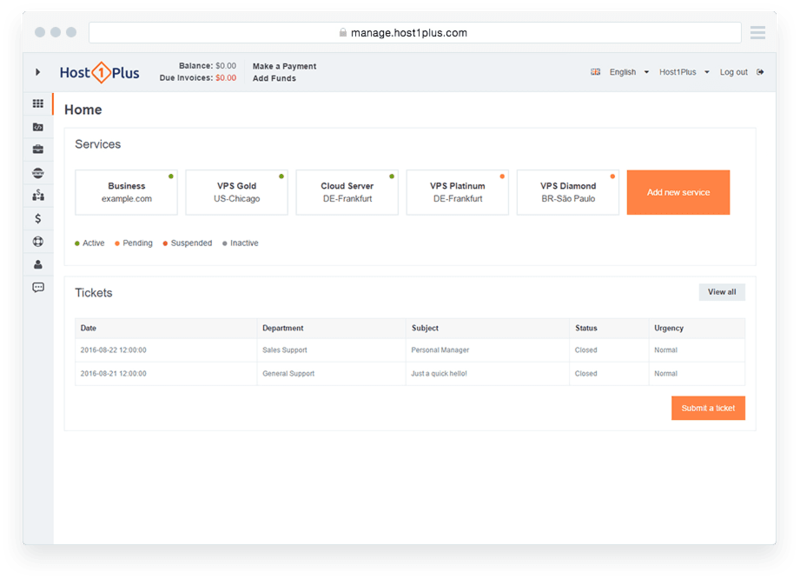 Payment gateway flexibility – You can pay with your favorite payment method as Host1plus supports all major payment gateways which include PayPal, boleto bancario, and ebanx. Affordable pricing – Host1plus Brazil VPS has quite affordable hosting packages. Packages are divided into several parts, and you can pick one up as per your need. One thing that it doesn’t do is compromise quality for the price. 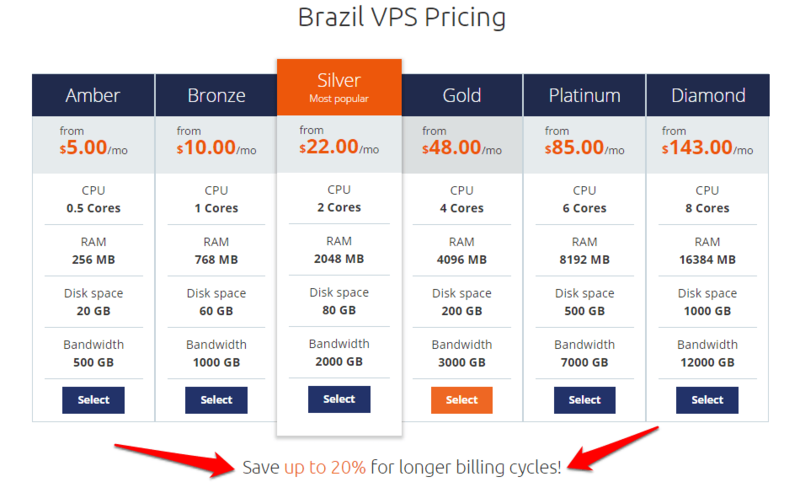 You can look at above screenshot that details you about the pricing of Brazil VPS service of Host1Plus. If you still want to get some more discounts, you can book the hosting for a longer period at once, and save up to 20%. Live stats – They offer a live tracking feature through which you can track your server performance live. This means you can prevent your website from using too many resources and upgrade or downgrade as per your requirements. This is indeed one major problem that occurs to many start-ups and businesses are that they aren’t able to figure out how many resources do they actually need. With the live stats, you could easily figure that out. If your website exhausts resources away too early, it’s time to upgrade it. But if you don’t even reach the limit even once in a month, you should consider downgrading or letting the current plan go on. Geolocated IPs – If you are aiming for boosting online presence of your local business, you will get a great benefit by using their IPs. This will help you to rank easily in the local search results. Virtual access console – If something goes wrong, you can instantly recover everything by a virtual access control to your server. This is like a last resort in case something bad occurs to your server. Although, if you keep your data backed up regularly, this won’t be much of a problem. There is no doubt to the fact that web host plays a crucial role in the success of your blog or business website. There are several blogs/sites I’ve seen that aren’t able to rank due to the simple fact that their uptime is low and their site often goes offline or crashes. Also, I like the fact that VPS gives full control of the website, which is quite crucial for a business if you want to run some sort of software on the server you can just do it because you have the root access to the server. So, are you running a business in Brazil, and want to get the Brazil VPS? I never go beyond host1 plus. 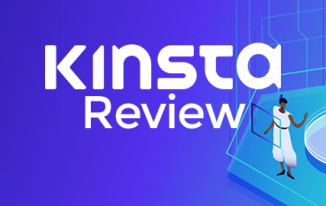 i usually do hosting at godaddy network.. i think i must try this one.. thanks for s great review bro..
To be honest I just read a review about host1plus on some other blog and I landed here to read more about it. I was thinking to give it a try.